Stairs squeaking or broken? These techniques will help. 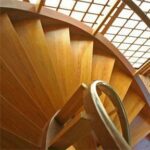 The most common problems with stairs and staircases are generally squeaks and loose or broken parts. 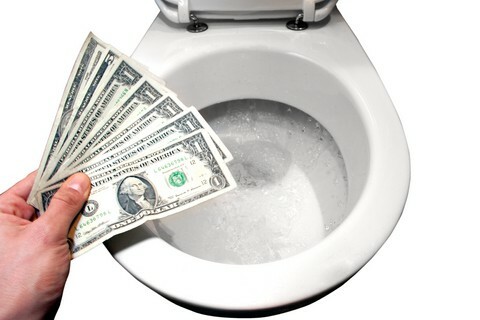 In this article and the articles listed top right, you’ll find helpful information for repairing these kinds of issues. For information on fixing patio steps, please see Repairing Concrete Patios & Steps. Most steps in older homes creak and squeak underfoot because the wood has dried and shrunk over time. Squeaks in stairs are usually caused by a loose tread rubbing against a riser or a stringer when the stair is stepped on. Treads can become loose when wood shrinks or when supporting blocks or nails work loose. This is usually not a problem unless the parts become very loose or the creaking indicates that a section of the stairway is nearing the breaking point. There are two approaches to fixing squeaky stairs-from below the stairs or from above. It’s preferable if you can fix them from below because your repair is less likely to show. Once you find the source of the noise, you can usually fix it relatively easily. If the noise comes from the spot where your foot meets the tread, concentrate your repair efforts there. If the noise comes from one side when you step in the center or if it comes from the rear of the tread when you step at the front, the chances are pretty good the entire tread is moving or deflecting. If you’re concerned about the noises, start by investigating the source of the sound. Stairs with open undersides (such as when basement stairs or closets are built below) make this job easier. Where the underside is not accessible, you may have to pull down a finished ceiling underneath to get a good look. Before making any repairs, try lubricating the parts with talcum powder or powdered graphite to reduce the friction where the parts rub together. Forcefully blow the powder into the joints, especially where the backs of the treads meet the risers. If this doesn’t help, you’ll need to take on a little carpentry work. Check that the wood wedges, used to lock the treads into their mortised slots, haven’t worked loose or fallen out. If they have, glue them back in place and tap them tightly home. Blocks under the treads where they meet each riser also can fall away. If so, nail and reglue them as well. Look for longitudinal splitting or cracks across the width of the stringers, which carry the treads. Also check the vertical plumb and horizontal level of the major parts to determine if the stairs are leaning in any particular direction-the noises you hear could indicate that the structure is moving or in danger of collapsing. If you can get at the stairs from underneath, you can use wedges, brackets, or wood blocks to secure the treads to the risers. (Wear eye protection to keep sawdust and other debris from getting into your eyes.) Glue and screw wood blocks under the tread and against the riser. Be sure not to drive the screws through the tread’s surface. If you don’t have access from below, you’ll have to work from above. To prevent the wood from splitting, drill pilot holes before inserting nails or screws; counterbore the holes if you plan to fill them with dowel plugs. Otherwise, set the heads slightly below the surface and cover the holes with matching wood putty. 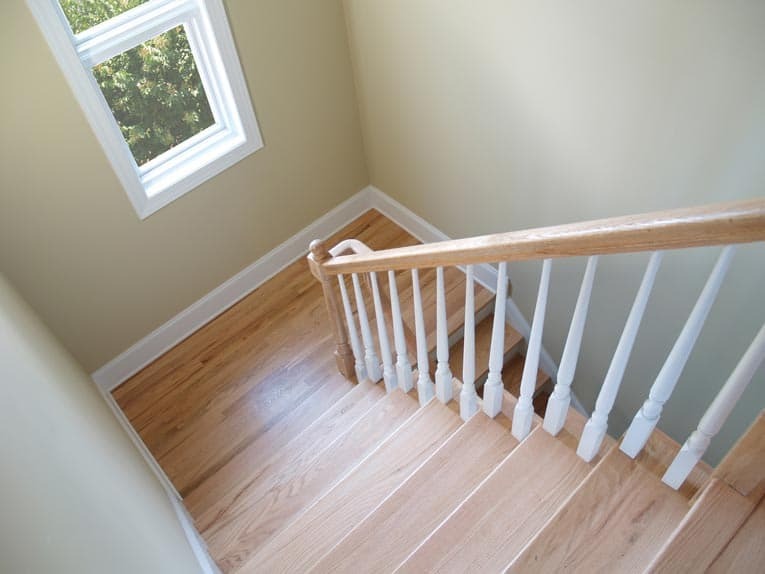 Because they anchor the handrail and must be able to take the weight and stress routinely imposed on them, stair newels must be well secured to the staircase or floor framing. When one becomes loose, and you can’t see its anchoring point under the stairs, it may be necessary to work through a ceiling to get at the underside or remove a piece of flooring on a stair landing in order to make the repair. If the treads are “open” on both sides and resting atop the stringers and the handrail balusters aren’t attached to the steps, it might require only pulling up the damaged tread and removing the nails that hold it to the risers above and below it. New, unfinished hardwood treads can be easily cut to fit. However, if the treads are glued into mortises cut into the stringers on both sides (a “closed” run), or if they are held in place by balusters mortised into each step, removing a single tread could entail disassembling (and possibly destroying) much of the staircase in the process. 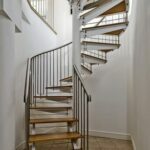 Before you attempt this work, get an estimate from a professional with proven experience in stair building and repair. Methods for tightening loose balusters in banisters usually involve inserting wedges or securing loose parts with screws. Use a syringe-type glue bottle to squeeze wood glue into the baluster sockets at top and bottom. If you’re using screws, drill pilot holes for them to prevent the wood from splitting. Be sure to cover any visible screw holes with wood plugs. If you’re using nails, drill pilot holes sized for small (2d to 4d) finishing nails through the baluster ends and into the wood. Use a nail set to bury the nails into the wood and then fill the nail holes with wood putty. If you can’t re-glue a split baluster, carefully saw through it and remove both parts by “working” them out of their sockets. Buy or make a replacement baluster and cut it so that it is 1/4 to 3/8 inch longer than the original. Bore the existing top hole in the handrail 1/2 inch deeper, but take care not to bore through the top of the rail. You should be able to insert the baluster into the top hole far enough to allow the bottom end to drop into its socket. Glue and nail the replacement into the sockets. On older stairs, the base of a newel is often doweled or mortised and glued in place. Modern stairs may have bolts, lag screws, or other conventional hardware to hold the newel. Once you’ve located the problem, reinforce the newel with new hardware. Use hefty connectors that can hold their own against everyday use, and be sure the newel is vertically plumb when you fasten it permanently in place. If you have wall-mounted hand railings, be sure they are soundly secured to the wall-loose railings are a serious hazard.